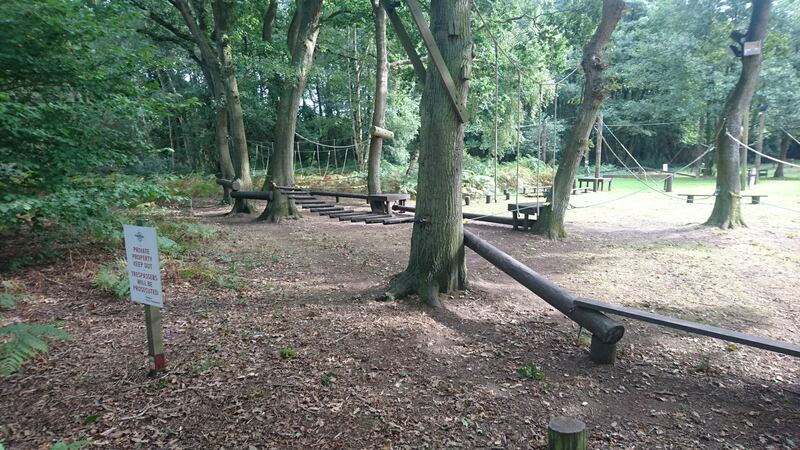 “What we fear of doing most is usually what we most need to do"
Get to the top of our custom built High Ropes course, try the gladiator, the aboard, the balance beam or the leap of faith; great for building personal and team confidence . Slide down our Zip line from the top of our climbing tower, travel over 300 feet across our lake at a speed of 30 mph; we can even run this at night under flood lights. A back to basics session where you learn to build shelters, make a fire and use the materials of nature to survive , come and be ‘Bear Grylls’ for the day. Great for individual skill and precision, based on our range, instructors will ensure everyone hits the target, it just depends on you how close you get to the bulls eye! A New activity at the centre; this is delivered on a safe range and allows participamts to revisit their primevil nature. Build a raft from barrels, poles, ropes and see if floats your team on our lake! 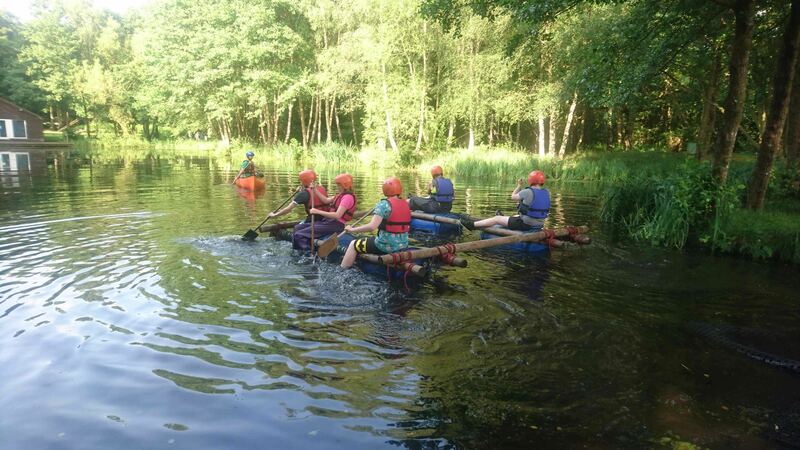 We use open canoes and can deliver short fun sessions on the Lakes at the development centre or for something a little more challenging we canoe a short section of the River Bure. An activity that gives you a real personal challenge, great for building confidence and a sense of achievement, the aim is to get to the bottom of the tower from the top using just a rope! Cross a series of obstacles using wires, ropes, slack lines and tyres, challenging and low to ground, see if you can make the end without touching the floor. The centre has developed some amazing static and mobile team dynamics for any age; from corporate to junior; tackle the border cross, spiders web, safe haven and many more. This session can be completed adapted to the groups needs, it can run for 1 1/2 hrs or 6 hrs, using real casualities with simulated injuries, a fantastic way of building team bonding. A unique team building activity. Build a custum made trebuchet (catapult) from which water balloons can be shot over 120 ft, Why not build two and have a battle? First aid is a life skill for any age, we run attendance courses as well as HSE reccommeded courses from one to teo days. We make them engaging, practical and fun. Learn to read a map and then find your way around a preset course, finding markers as you go, who needs a sat nav! “The only person you are destined to become is the person you decide to be"
To Develop yourself you have to be yourself; you need the best staff and the best location to see past the difficulties at home, school, college or work. Our beautiful site is full of nature. Walk around Dlwhinie or Lamorna Lake or just sit on otter bridge and listen to the brook bubbling through the centre. Connect with nature at the same time as completing a residential programme of challenging and adventurous activities. The combination of both adventure and nature is proven to make a real difference to individual and team perceptions, life aims and goals and making change; however big or small. Quiet and peaceful, perfect for getting away from the urban lifestyles that we lead. Bunk room accommodation for 40 people in 8 seperate bedrooms. Bell Tent accommodation for up to 96 people; we can offer sleeping bags and sleeping mats for hire. Separate leaders and teachers accommodation for Schools, Colleges and Youth groups. Team and Conference room, with seating for up to 40. The room includes a projector, white boards and work tables. The main building includes a comfortable lounge area which includes sofas, wood burners, television, table football and a tuck shop. Dining room with seating for 40 people; including all cutlery, plates, mugs, glasses, water jugs and a serving area. Fully fitted kitchen that can be used as self catering or catered. The kitchen includes a large gas oven, large fridge, freezer, microwave, all pots and pans and utensils. Under cover outdoor BBQ area, with seating for 40, including lighting, power sockets and 2 large grilled BBQ’s. Quiet, safe and tranquill site; full of wildlife, including; otters, king fishers, monk jack deer, rabbits and geese. There is good access and parking for coaches and buses for drop offs and pick ups. 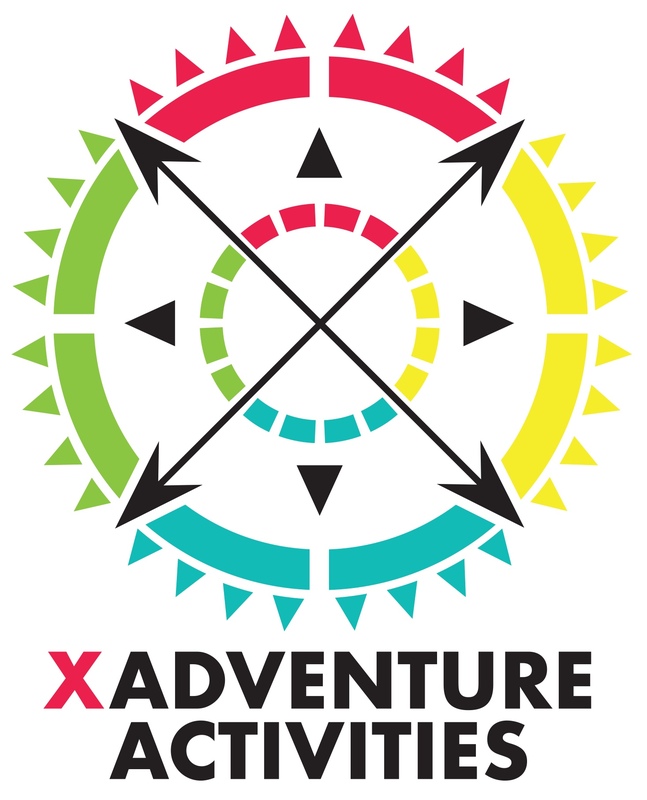 There would always be an overnight duty member of X Adventure staff to support visiting staff should any problem arise durng your stay, we don’t finish our day at 17:00. Whatever the reason for visitng our Development Centre at Bramley Lakes, we ensure to work in consultation with you to develop a programme that suits your aims and objectives. We work hard at getting the small things right, we tailor make all programmes as no one group is ever the same. We give great thought to your programme and will guide, support and help you through the process. You can have an action packed programme with activities throughout the day, evening and even night, activities can be formally facilitated or informally de-breifed; it can be combined with classroom sessions. 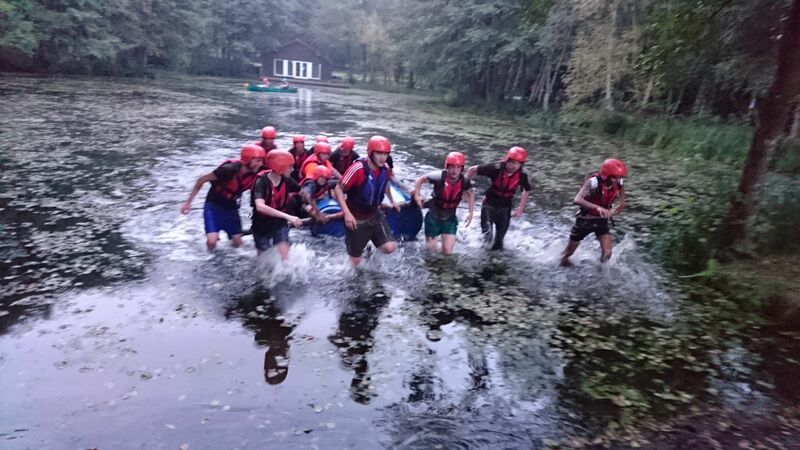 Choose a canoe trip down the River Bure or choose a full leadership programme. If your not sure what you would like, then we can give you some advice on aims and activities against timescale and budget.